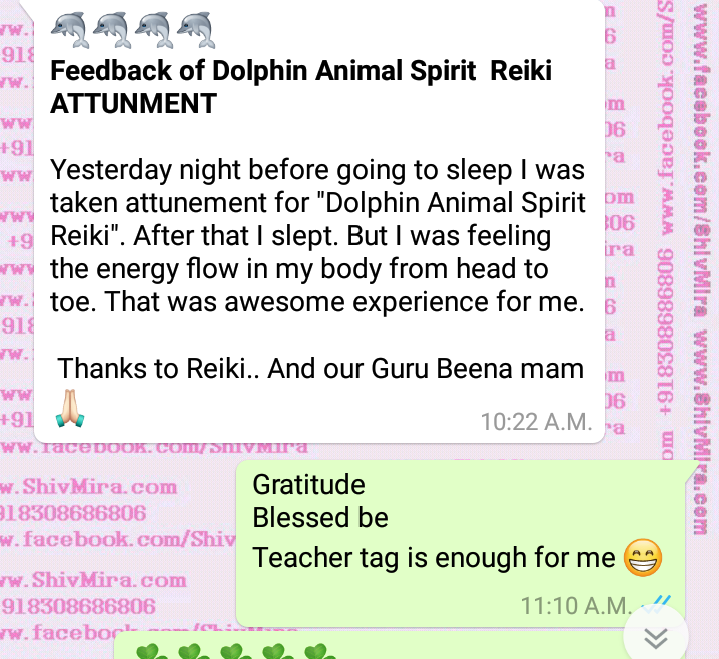 By divine permission and guidance we officially launched registration from our site (www.ShivMira.com) for the course of Dolphin Animal Spirit Reiki with attunment for the same. 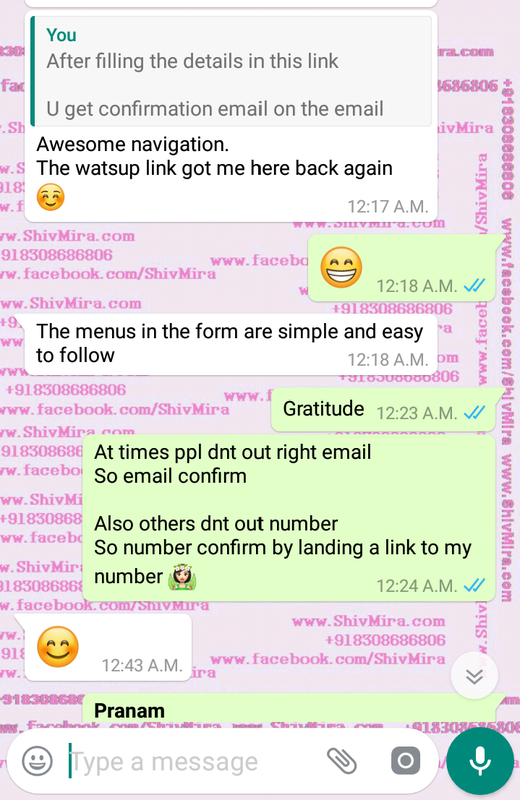 In less than 24 hrs time -we got more than 100 logs with 80 full confirmed registration of email as well as whatsapp.Gratitude for the Awesome response. 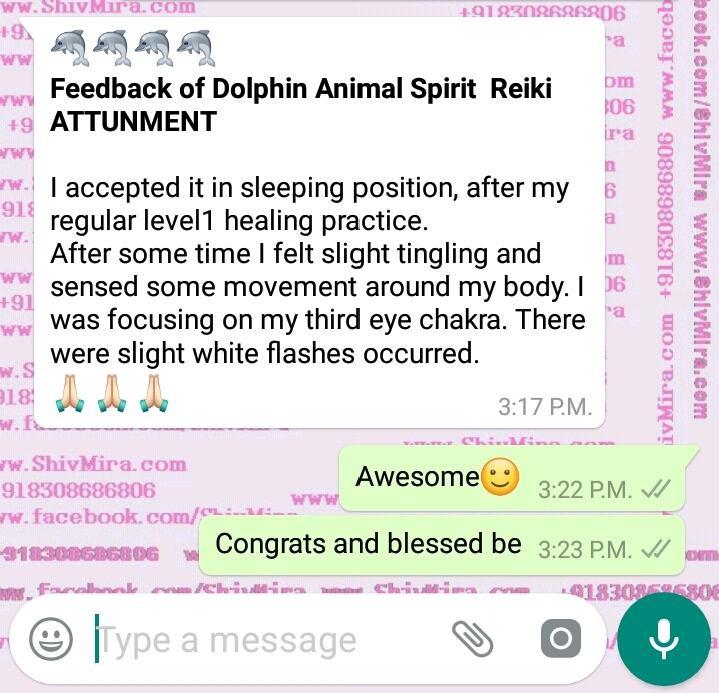 People who are very new to healing energies and also who are professional healers and teachers.Blessed be all.Congrats. 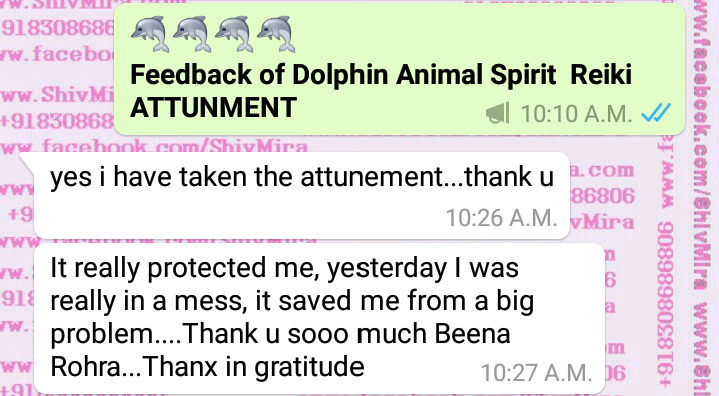 Here are some feedback of the attunment. Soon more will be added . Just in case you missed the opportunity this time. Please follow our page and site for the announcement of further such free or paid courses and sessions. Blessed be . Be Awesome. I signed up for this, but must have missed a step. 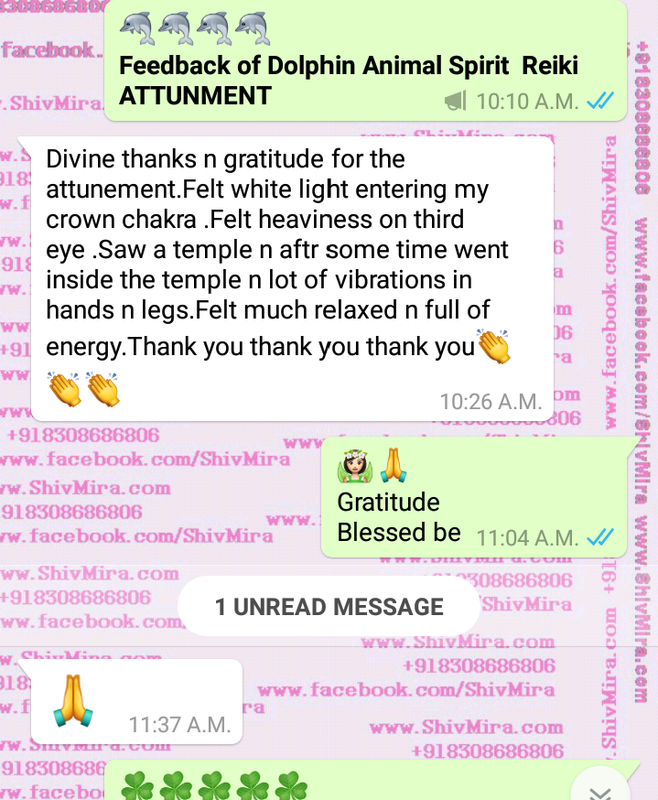 I did not receive an attunement or manual. I send email to confirm whatsapp number. Tried sending using Indian code but couldn’t find u. 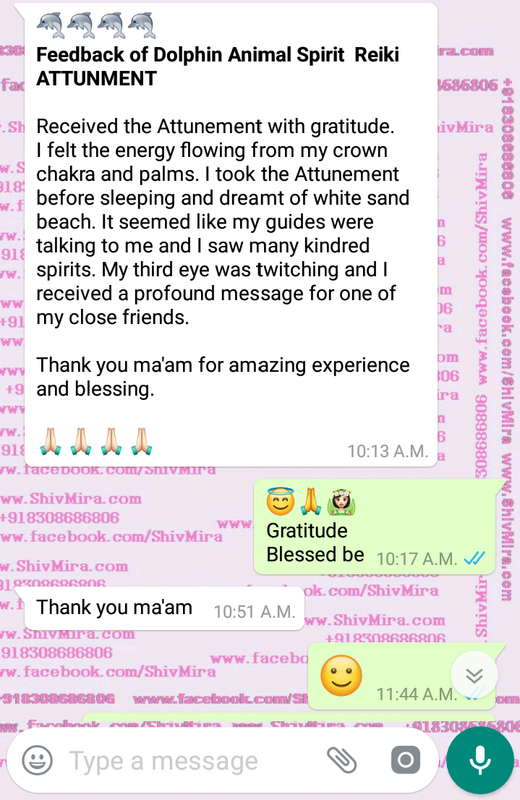 This attunement was a beautiful experience…..the cold smooth energy flowing through my system was amazing……thanks in full gratitiude. 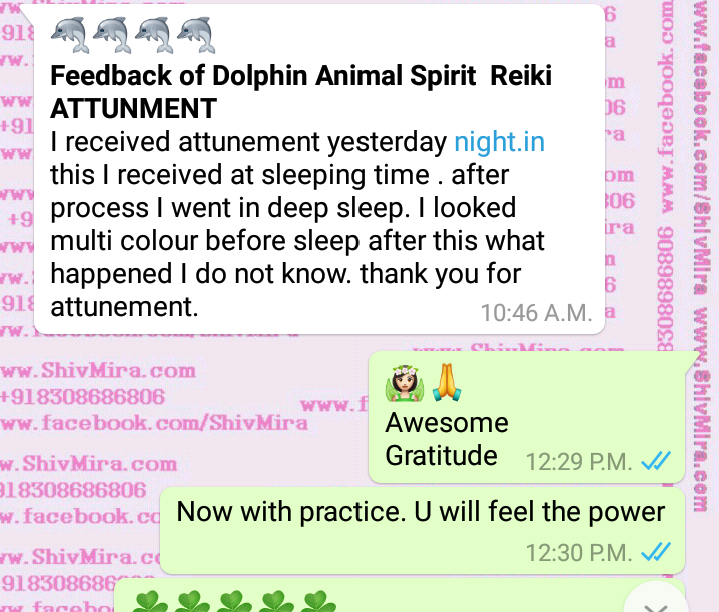 Divine Gratitude for the strong Dolphin Reiki Attunement. 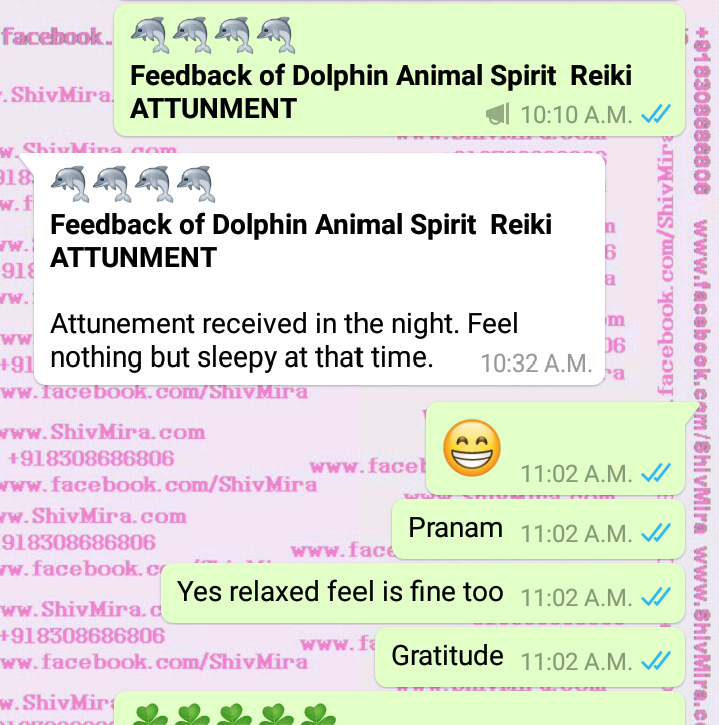 Yesterday afternoon, I happened to see a pic of Dolphins on book and I felt as though it is smiling and telling me something. 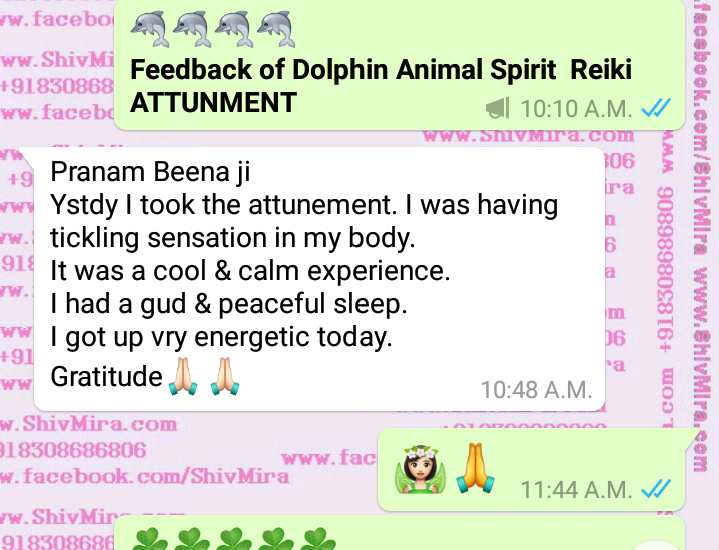 Previous day, as I was taking attunement, some disturbance happened. Then, Hester evening I took. 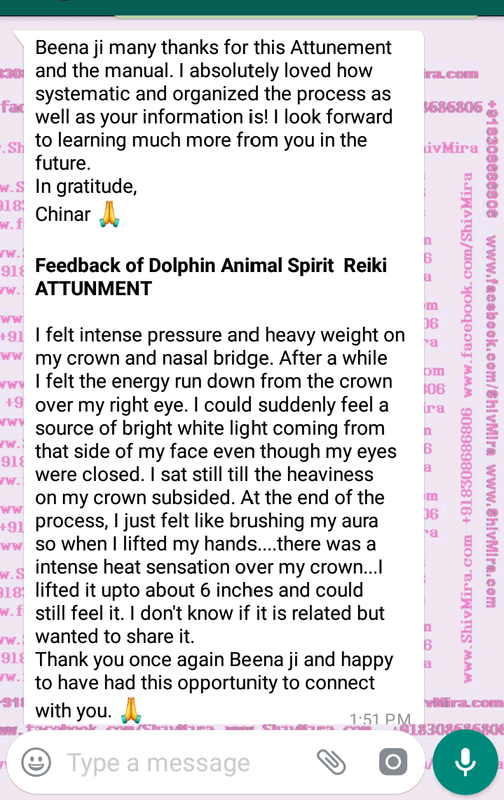 I felt dolphins on my ccown, face, cleansing solar, heart, naval and for a long time I was engulfed in a dolphin, as it intended to clean me thoroughly. Later, I felt very light. 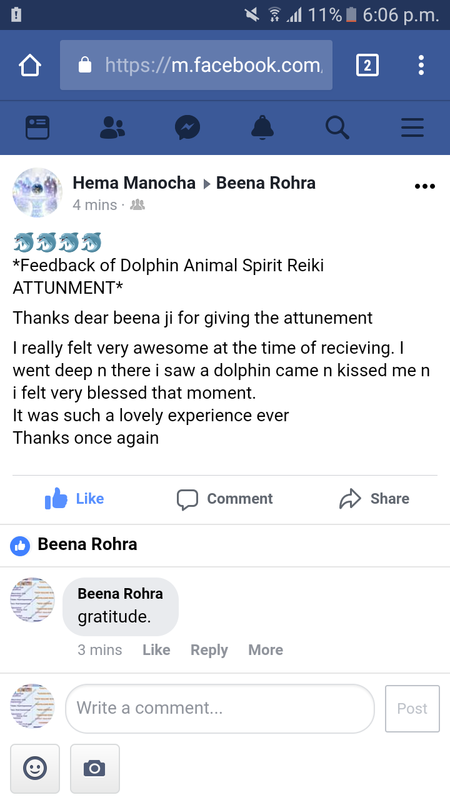 Received the Dolphin Reiki Attunement Beena.